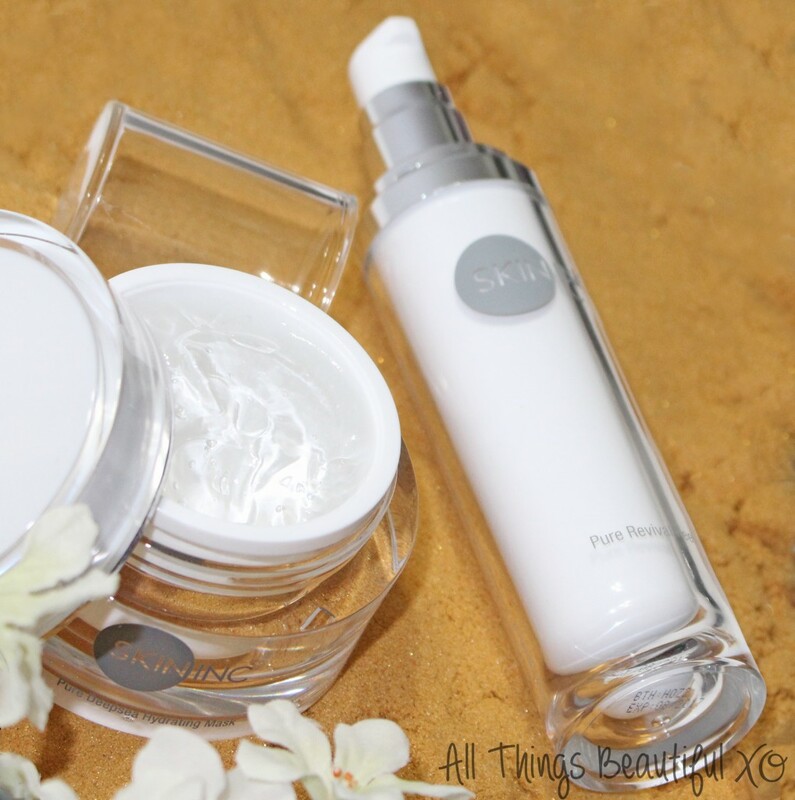 Skin Inc. New Year New You Glam Like A Star Set Review & Party Prep! Are you ready for party season? All of the awards shows are here & ready to rumble so it is time to get your skin looking its best! You can have the perfect foundation & still feel a bit sensitive if your skin just isn’t where you’d like it to be. I’m a big fan of masks because you can treat your skin without doing anything too harsh & they are perfect to prep for big evens to really get your skin in top-notch condition. 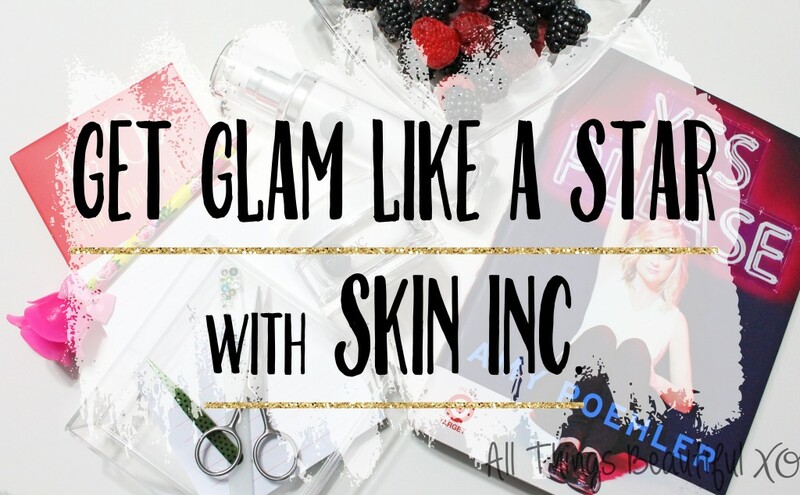 Today I get to share the Skin Inc. New Year New You Glam Like A Star Prep & Mask 2-Step Set & why it is perfection! The Glam Like a Star Set contains two items- the Skin Inc. Pure Revival Peel & the Skin Inc. Pure Deepsea Hydrating Mask. You can use either product separately but when both are combined you really get an amazing outcome. Get an invite to an Oscar party last minute? Forget about a party with your colleagues? Special date night? This duo will get your skin exactly where it needs to be in as little as 30 minutes! The “Prep” step in this duo is the Skin Inc. Pure Revival Peel & boy is it love at first application. To apply you just take a small amount from the pump & put a thin layer on your face. Leave it on for a few seconds & it will start to turn a bit milky…then you’re ready to roll! Seriously- check out my hand above! That’s dead skin & dullness disappearing! This is safe for all skin types because it is non-abrasive as well. You just massage it into your skin in circular motions then rinse off the gunk! & boom- beautifully healthy, glowing skin. Your skin will be ready to act as the perfect canvas for your makeup & is prepped to maximum absorption of nutrients from your skincare products as well. The second step in this duo is to “Seal” & it can be done in 30 minutes…or even overnight! The Skin Inc. Pure Deepsea Hydrating Mask is a jar of hydrating, clarifying, & brightening magic…with very little effort. Apply this clear mask straight from the jar to your skin in a thin layer including your undereyes then leave on for 30 minutes to overnight then rinse off. In a single step this triple-treat mask uses nutrient-rich ingredients to create a simply luxurious treatment for skin that is gentle enough to use daily. What do I do while I’m prepping my skin for a big event? After I apply my mask I try to get the little things I often forget to do before an event. Or I try to make myself relax! Here are some tips. Get groomed! File nails, trim brows, & get your eyebrows on point. This is a good tome to get your little grooming checklist done while you wait for your mask to finish working. Eat a snack! Before a big event I like to have a light snack- like berries, crackers with hummus, or string cheese. This helps settle my nerves & makes me not so hungry later on. Write your list! Whether I’m traveling for an event or just going down the street, I like to know I have everything I need. Write down anything you need to add to your purse, if you need to hire a babysitter, or even which necklaces you’ve narrowed it down to. Read away your worries! Grab a book (preferably something hilarious) that can transport you to somewhere less jittery for awhile. Right now I’m reading Yes Please by Amy Poehler that I got from a friend as a gift. She’s hysterical. Do nothing! Do absolutely nothing & enjoy the silence…or play some really great music. So there you have it- how to prep your skin to get glam! Obviously this works even if you want to go makeup-free as well- gorgeous skin is always in. Combine the Skin Inc. Glam Like a Star Kit with the Skin Inc. My Daily Dose serum for a simple Prep-Nourish-Seal regimen which will really make your skin lovely. You can purchase Skin Inc. products from their website here & check out their other specials to get party ready here. This set is worth $130 but it selling for much less currently! What kind of parties are you attending this season? What type of skin do you have? What is your favorite Skin Inc. product? Let me know in the comments below!